A canary in a coal mine? How about a flounder in a harbor? 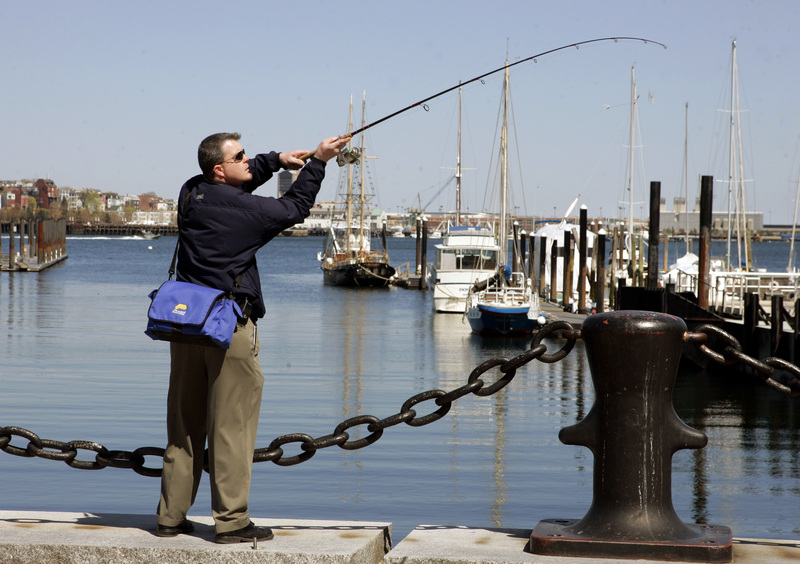 If fish are the evidence of environmental quality, there’s some good news in Boston Harbor. It was revealed in a study published last week in the journal Diseases of Aquatic Organisms. Scientists at the Woods Hole Oceanographic Institution in Massachusetts declare that flounder in Boston’s once notoriously polluted harbor are now tumor-free. In the late 1980s, more than three-quarters of the species in Boston Harbor were found to have signs of liver disease, including cancerous tumors. The liver purges toxins from the body. Due to the trash and pollutants in the harbor, fish livers were working beyond their God-given capacity. But Michael Moore, the biologist who authored the study, says his team hasn’t found a tumor on a flounder since 2004. Flounder are known for lying flat in the sand of the ocean floor. They are “bottom feeders,” which makes their health a good indicator of the composition of sediment drifting down through the water. When in good health, flounder are also a delicacy for seafood lovers. Bostonians had fished flounder for generations. The economic impact of declining flounder health on fishermen helped to spur a series of lawsuits—which in turn led to cleaning up the harbor. A landmark federal court decision in 1985 compelled Massachusetts to properly treat sewage dumped into the harbor. That resulted in billions of dollars in public works projects to better treat wastewater and direct it farther from shore. The results have been dramatic. Porpoises, seals, humpback whales, and other marine animals that were rare in the harbor now regularly pop up, says Tony LaCasse. He is the spokesman for the New England Aquarium that overlooks Boston Harbor. “The people of Massachusetts spent billions of dollars to reclaim their harbor, and it worked,” he says. The turnaround of the harbor—once considered the country’s dirtiest—can also be seen in the improved water quality in the rivers that feed into it. Beaches are receiving high marks for cleanliness in recent years too. The good news is as refreshing as a cool glass of clean water on a hot day. “The clean-up of Boston Harbor is the greatest environmental achievement of this generation,” says Massachusetts Water Resources Authority director Frederick Laskey. Awesome that they cared enough and were able to clean that up. This will also help species from going extinct. YYYYYAAAAAYYYYY!!!!!!!!!!!!!! !